Only 3 percent of Americans believe that having one child is "ideal," according to a recent Gallup poll. Yet, one-child families are the fastest growing family type in the U.S., making up 22 percent of families. Filmmaker Michelle Cove, mom to an only child, goes on a personal mission to find out the best ways to parent when you know you'll get only one shot. To learn more, she goes inside the lives of three very different one-child families who face similar challenges. 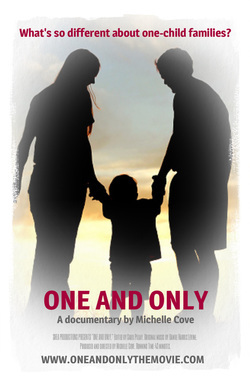 Peek inside the eye-opening, intriguing and sometimes surprising world of one-child families. There are more single women in their 30s today than at any other time in history, according to a recent US Census. How do single women feel about this news, and are women redefining "happily ever after" once and for all? Filmmakers Michelle Cove and Kerry David decided to find out, talking to single women and men across the U.S., while putting one single 30-something woman to a year-long dating challenge. View this award-winning documentary (distributed by Lionsgate). Visit www.seekinghappilyeverafter.com to learn more.